Tell your Mom and Dad how much they mean to you with an announcement on Mother’s Day and Father’s Day. 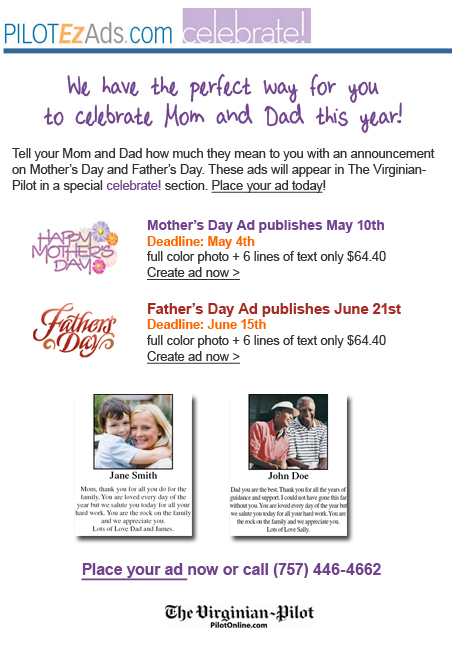 These ads will appear in The Virginian-Pilot in a special celebrate! section.